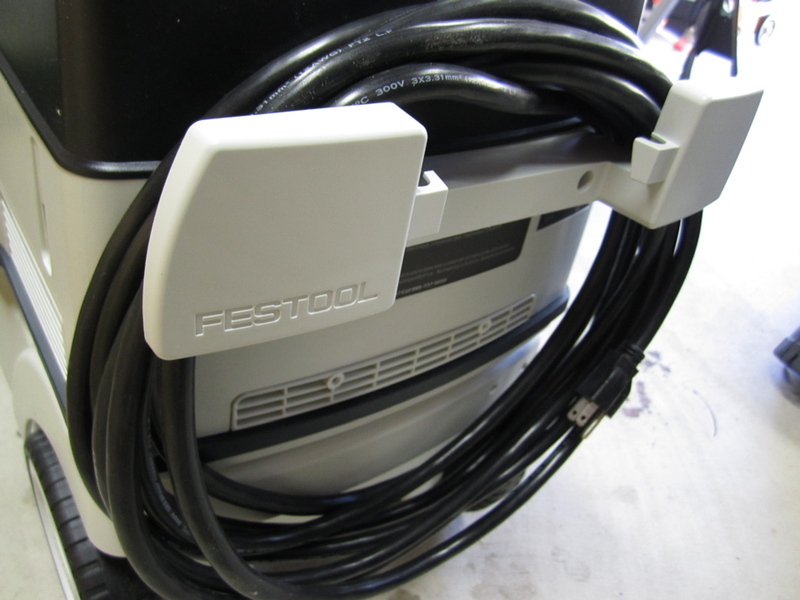 To see how I connected the Festool D27 hose to the CEROS, click here. The Mirka CEROS (compact electric random orbital sander) is different from most electric sanders because it is powered by a brushless DC motor and requires a transformer. 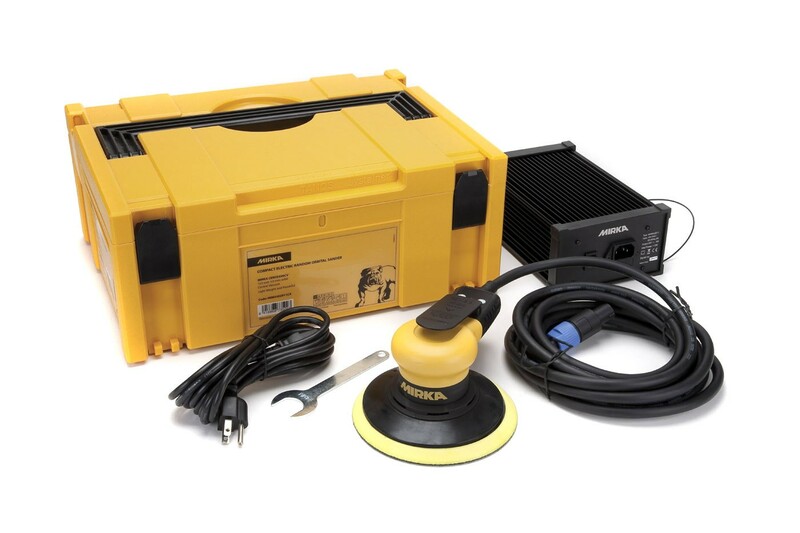 The sander, transformer and cord come packed in a Systainer 2 (2 refers to the size). Systainers make transporting tools and accessories easy but they are not as helpful for someone who doesn’t work on-site. In fact, they are actually somewhat of a hinderance as they take a while to set up and repack. This was what I did to make the sander more convenient for use in my shop. I always used the CEROS with the Festool CT26 E HEPA Dust Extractor so it made sense to keep them together. I wanted to store the transformer onboard the vacuüm but there was no room so I decided that the best place for the transformer was on the back of the vacuüm. First, I unscrewed the stock cord storage bracket from the back of the vacuüm. To secure the transformer, I milled tongues on two clamping blocks. The tongues slipped into the bottom grooves in the transformer. The transformer’s bottom rested against the backer board which was fastened to the back of the vacuüm with the screws from the cord storage bracket. I made the upper clamping block large so that I could also carve a trough into it to hold the vacuüm’s power cord. Then I made a lower cord wrap block and fastened it to the lower half of the vacuum using a pair of nuts and bolts. All hooked up, the presence of the rear-mounted transformer is hardly noticeable. This modification makes the overall length of the vacuüm only two inches longer and ensures the sander is always ready to go within seconds. Chris working on a shop project? I can’t believe it! :-) Great idea and good job, Chris. I’m looking to the same thing for my shop. Thanks for posting! When run at a slow speed, the CEROS does not trigger the vacuum automatically. To learn how I connected the hose to the CEROS, click here.